Walls - Footings rough Yeovil stone. 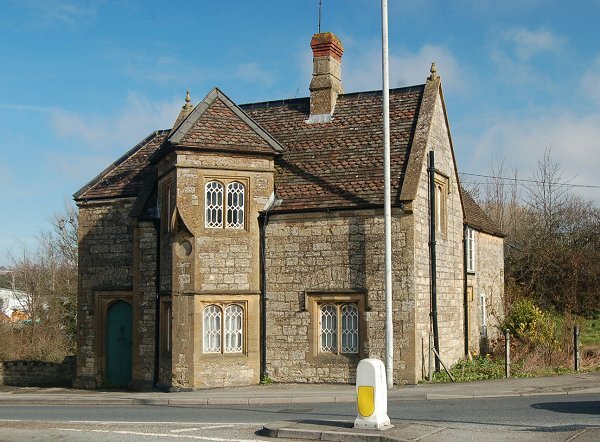 Front, side, and back walls rough hammer-dressed Yeovil stone laid in horizontal courses in random range work. 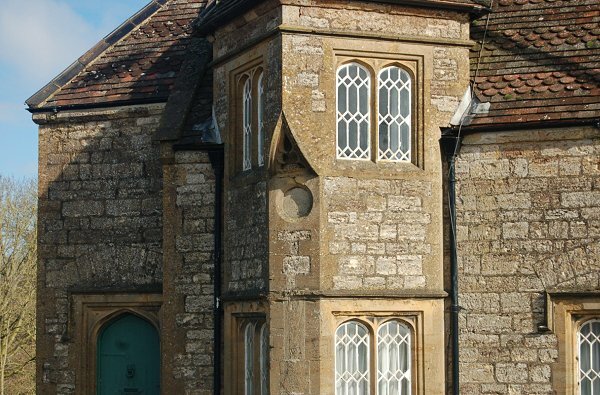 Ham stone dressings to windows, doors, mullions, gables, chimney and cap. Quoins of Halfway House stone, hammer-dressed. Living room and staircase walls lined with brick. Flues and fireplaces brick properly cored and pargetted. Dressings around fireplaces and mantel shelf Ham stone, stop chamfered round opening. Ground floor paved with Keinton stone, back hearths Ham stone. Roof - Tiles secured to oak laths and laid in mortar. Timber - Fir timber externally - Memel or Riga deals. Inside work - Christiana or Archangel, American red pine. The upstairs is referred to as 'Chamber Floor'. 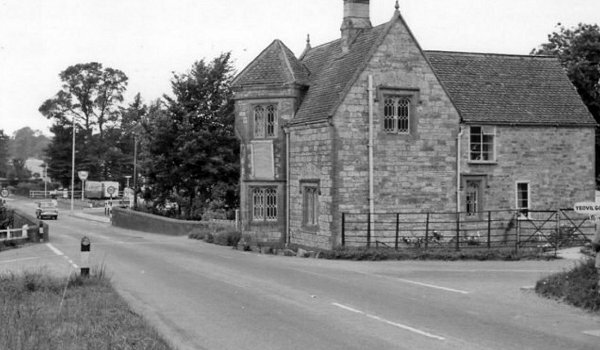 A photograph of the 1960s looking towards Yeovil along the Sherborne Road with Yeovil Bridge at left and the toll house at right. 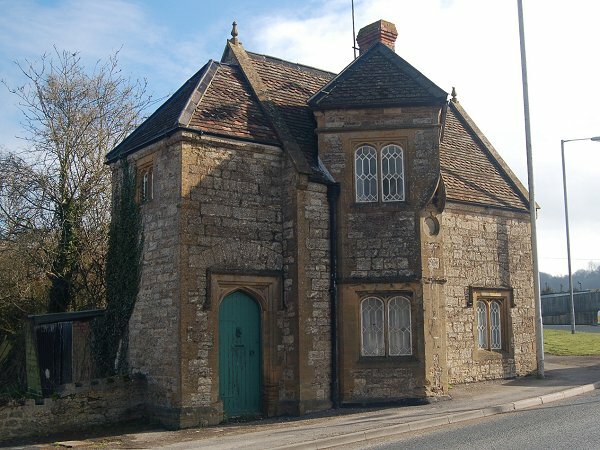 The toll house elevation to Sherborne Road. Photographed in 2013. The west elevation, seen from Yeovil Bridge. Photographed in 2013. The central, angled section built to allow the toll keeper to watch for traffic coming from either direction. At centre is the datestone. Photographed in 2013. 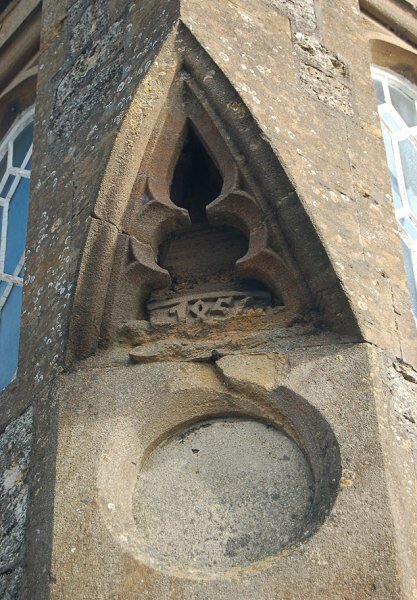 The datestone showing a worn '1856'. Photographed in 2013.